Albert Tucker was a self-taught modernist artist and member of the Heide circle in Melbourne. Primarily a figurative painter, his works responded to the world around him and his own life experiences, and they often reflected critically on society. In the 1940s he became associated with the Angry Penguins, a group of avant-garde artists including Sydney Nolan, Joy Hester and Arthur Boyd. 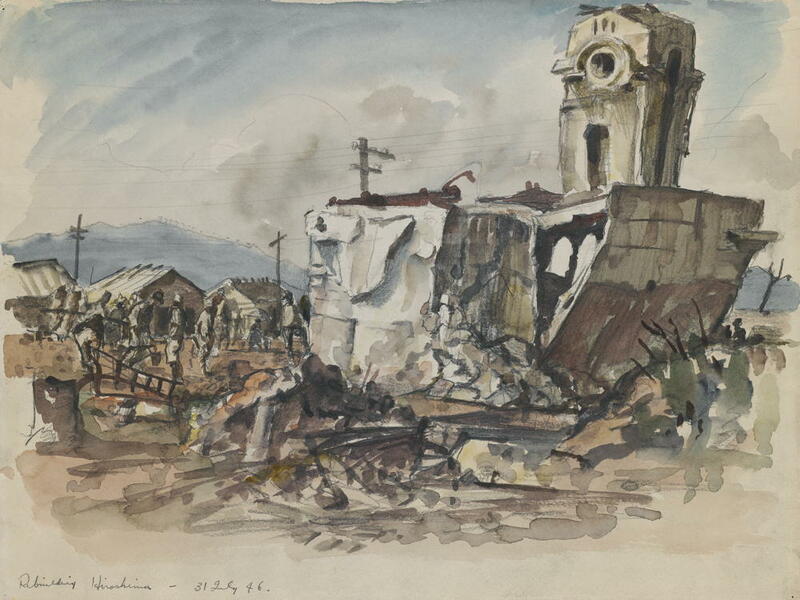 In 1947 Tucker travelled to Japan as an army correspondent where he saw the devastation of Hiroshima. Later in his life he also held prominent positions within the art community, including President of the Contemporary Art Society. 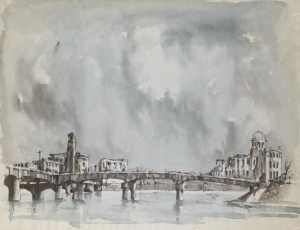 Reg Rowed studied painting and drawing at Melbourne Technical College from 1934 to 1938 under Napier Waller and John Rowell. He worked in the commercial art field until 1940, producing mostly murals, examples of which included Cook’s Landing, in Peninsula House on Collins Street, Melbourne. 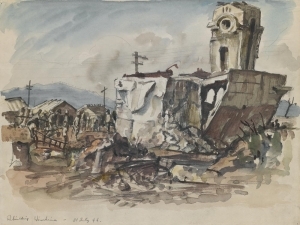 In 1945 he was appointed an official Australian war artist for the New Guinea Campaign. He taught from 1948 to 1976 at the Melbourne Technical College, lecturing in textile design. In 1950, he shared second place for the Dunlop Award in oil painting. Arthur Merric Bloomfield Boyd was a leading Australian painter of the late 20th century. His work ranges from impressionist renderings of Australian landscape to starkly expressionist figuration, and many canvases feature both. 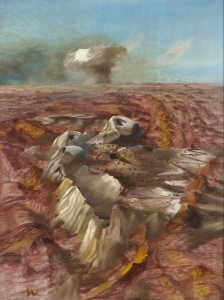 Several famous works set Biblical stories against the Australian landscape, such as The Expulsion (1947–48), now at Art Gallery of New South Wales. Boyd was a member of the Antipodeans, a group of Melbourne painters that also included Clifton Pugh, David Boyd, John Brack, Robert Dickerson, John Perceval and Charles Blackman. 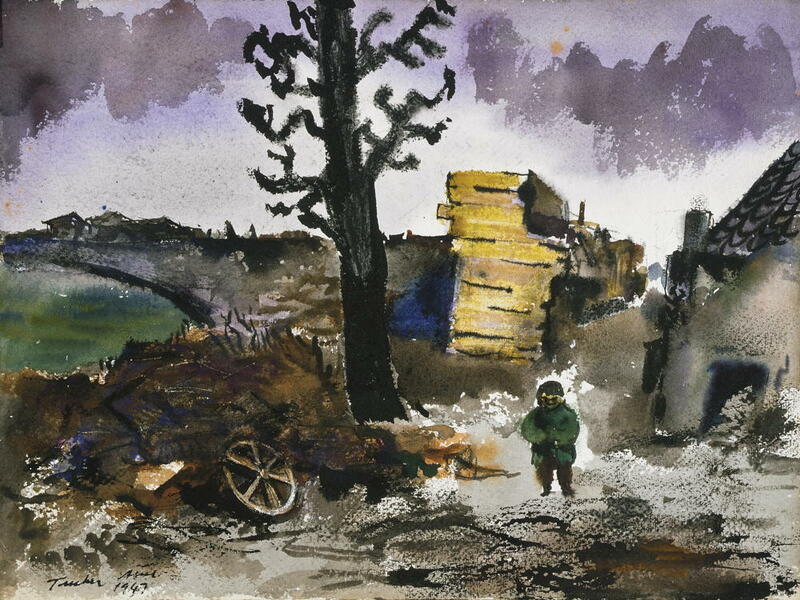 Sir Sidney Robert Nolan was one of Australia’s leading artists of the 20th century. His oeuvre is among the most diverse and prolific in all of modern art. He is best-known for his series of paintings on legends from Australian history, most famously Ned Kelly, the bushranger and outlaw. 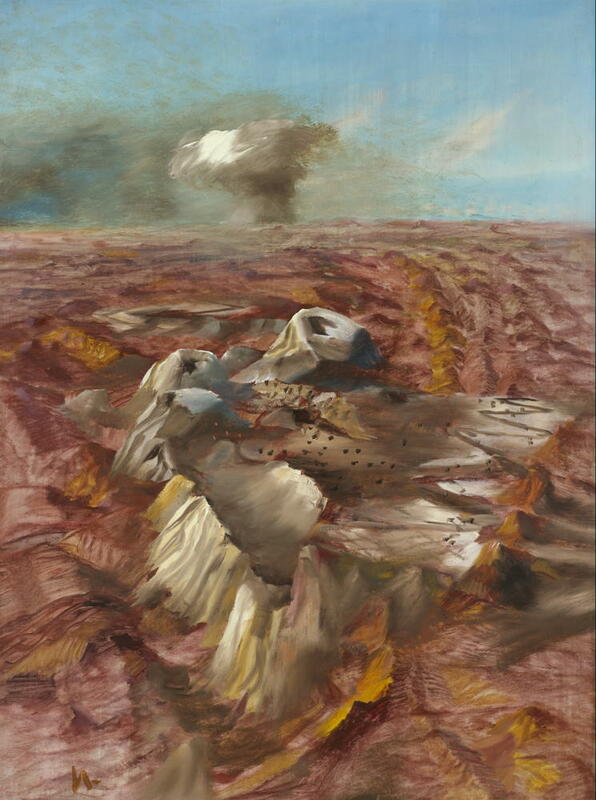 Nolan’s stylised depiction of Kelly’s armour has become an icon of Australian art. Nolan travelled extensively overseas and within Australia. His Central Desert paintings were largely produced while he was living in London. Among these one features a large mushroom cloud on the horizon above the desert sand dunes, now in the MONA collection in Hobart. 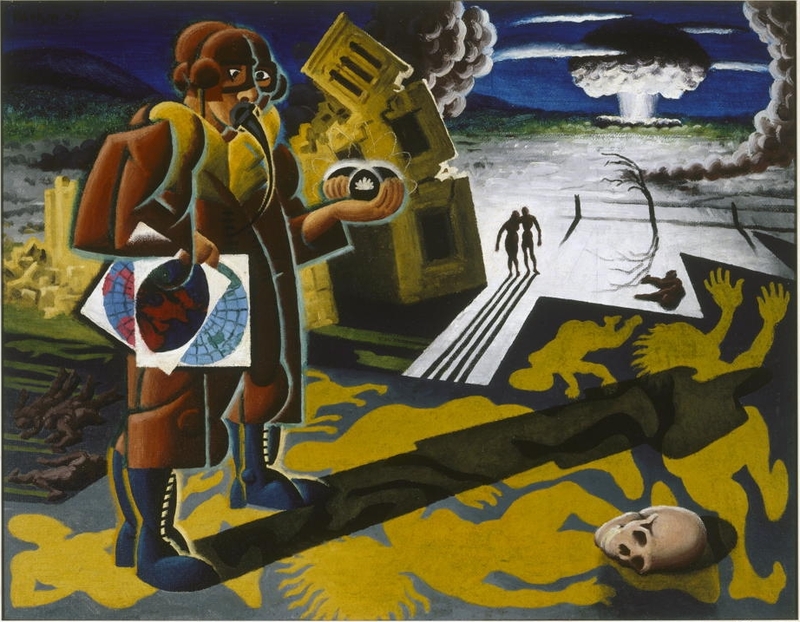 Harold Frederick Weaver Hawkins was an English painter who specialised in ambitious, sometimes mural-sized, modernist allegories of morality for an age of atomic warfare and global over-population. From 1923 until 1935 Hawkins and his wife and children travelled widely in France, Spain, Italy, Malta, Tahiti and New Zealand before finally settling in Australia. In 1976, a retrospective exhibition of his work was held at the Art Gallery of New South Wales. 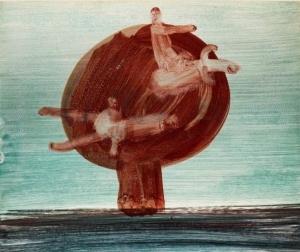 He was a founding member and a president of the Contemporary Art Society, and in the early 1960s, a founding member of the Sydney Printmakers group. Ian Howard is an artist and professor at UNSW Australia, Faculty of Art and Design, Sydney. 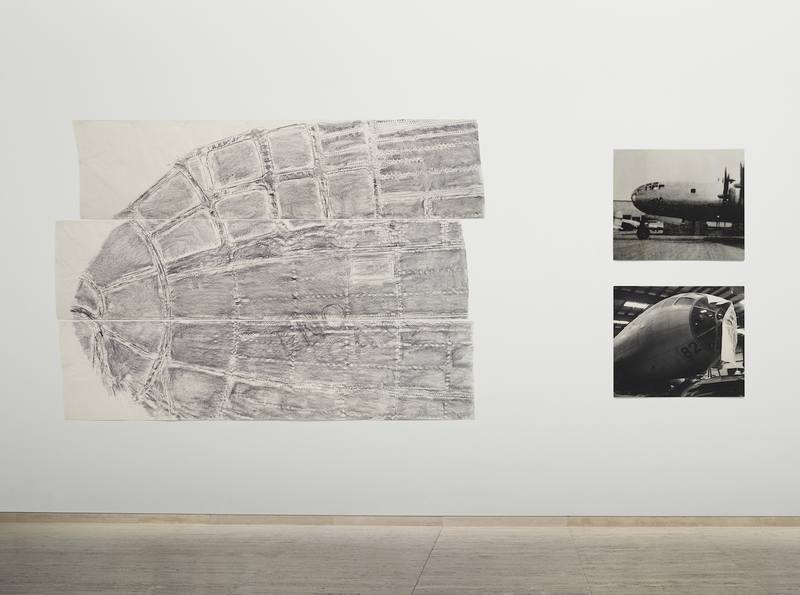 In response to the Vietnam War in the late 1960s Howard began making life size impressions by taping large sheets of paper directly onto military hardware making wax crayon rubbings of its surfaces. 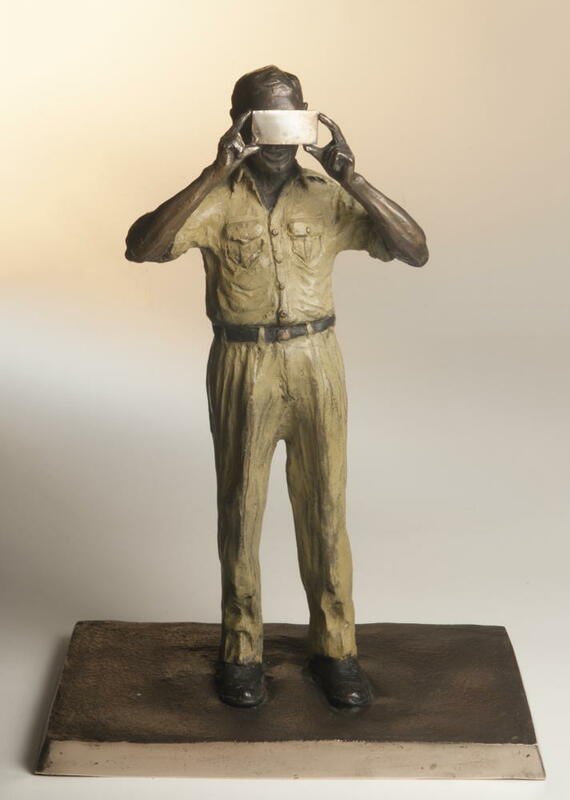 Howard’s artwork progresses a cultural relationship between civilians and military institutions with a concentration on sovereign border issues – walls, barriers and containment including enforcing vehicles – aircraft, tanks and ships. He works and exhibits internationally and is represented by Watters Gallery, Sydney and Charles Nodrum Gallery, Melbourne. Jonathan Brown was removed from his parents at Ooldea and grew up with foster parents in Melbourne and Sydney. At a later stage of his life he located his parents at Yalata and learnt about the atomic tests, the removal of his people from their traditional lands and the destruction of country. Jonathan first came to recognition as artist when he worked with Lin Onus for the 1990 exhibition ‘Balance’ at the Queensland Art Gallery. 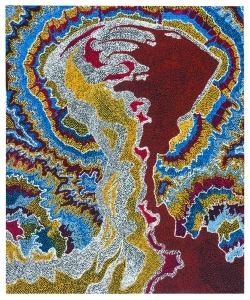 His later paintings were heavily influenced by the experiences of the Pitjantjatjara / Anangu which became the focus of his work. 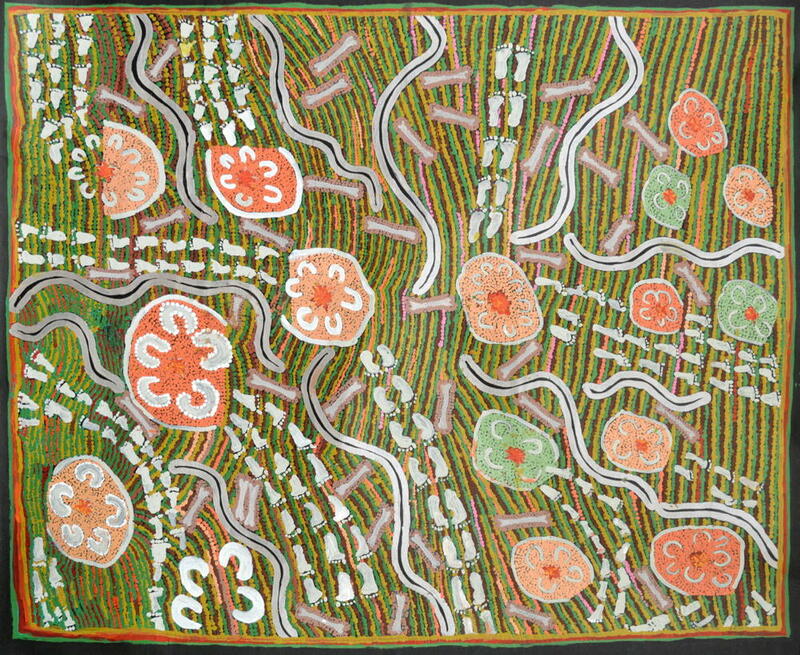 Yvonne (Tjintjiwara) Edwards was born in 1950 at Ooldea, South Australia. After the United Aborigines Mission closed in 1952, she and many Anangu families, were moved southeast, finally resettling at Yalata, under Lutheran missionaries. 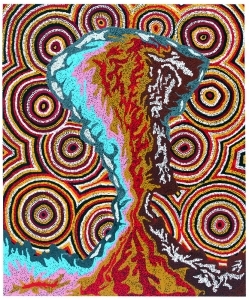 From 1953 to 1966 traditional Anangu lands were used for British Government testing of atomic weapons at a site they named Maralinga. Yvonne helped establish the Yalata Women’s Centre, encouraging women to develop skills in art and craft. 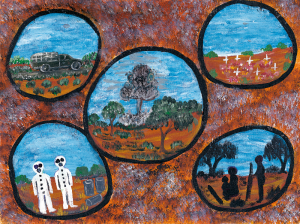 Yvonne was a skilled carver and artist, painting bush foods, Wanampi, the Rainbow Serpent, community life and scenes showing the effects of the atomic tests which ravaged her country. 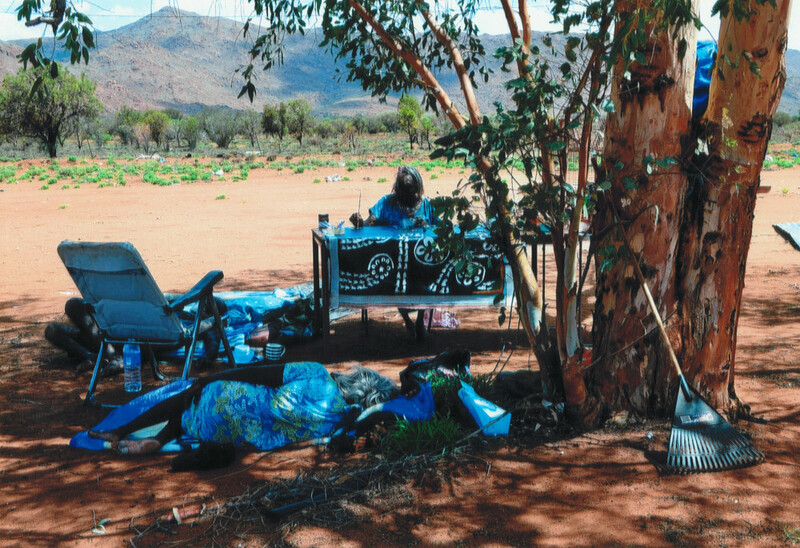 Maureen ‘Mima’ Smart AO is an Anangu woman and former chairperson of Yalata Community Council. She also serves on the Management Board of the Government of South Australia’s Natural Resources group. In 2005 Mima was awarded the NAIDOC South Australian Person of the Year and in 2012 she received an Order of Australia for her services to the community. She is a member of the Ceduna Aboriginal Arts and Cultural Centre, and as a keen painter exhibited at the Adelaide Festival Centre’s 2008 Our Mob exhibition. 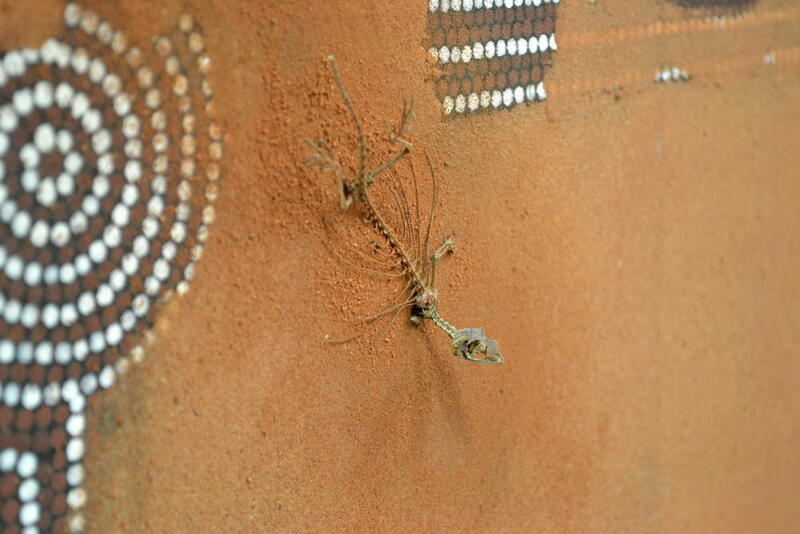 Terrance Edwards is an Anangu artist from Yalata, South Australia. 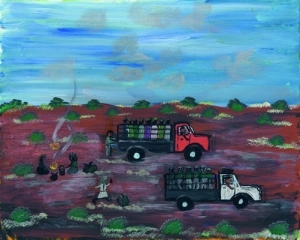 His paintings feature in the book ‘Maralinga; The Anangu Story’ by Christobel Mattingley, published by Allen and Unwin. 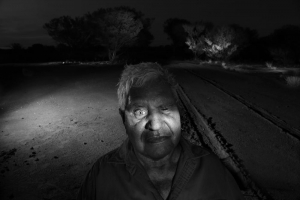 Queama, a Pitjantjatjara man, was born at Ooldea, on the eastern edge of the Nullabor Plain. 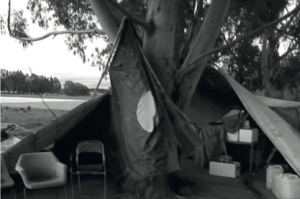 With the dispersal of residents after the closure of the United Aborigines Mission (UAM) at Ooldea in 1952, he was sent to the Lutheran mission school at Koonibba, near Ceduna. He worked for many years on land conservation and management boards, and lobbied tirelessly for the return of the Maralinga-Tjarutja lands to the traditional owners. In 1984 the lands were been returned, and he and his wife Hilda Moodoo among others founded Oak Valley community, 150 kilometres northwest of Maralinga. 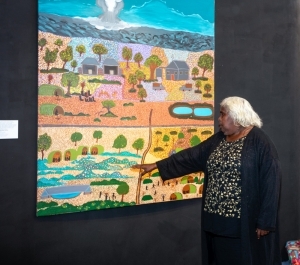 Hilda Moodoo painting began at Oak Valley in December 2001 when Victorian Yorta Yorta artist Lance Atkinson spent two months in the community teaching the technical skills for painting on canvas. 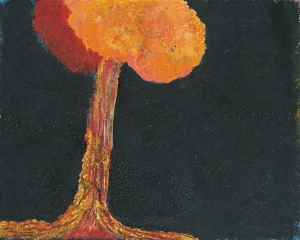 Hilda Moodoo and Kunmanara Queama’s collaborative paintings Destruction I and II were included in the resulting Desert Oaks exhibition at the Adelaide Festival Centre in March 2002 and are now in the collection of the Art Gallery of South Australia. The Desert Oaks project was a deliberate expression of identity and an opportunity to pass on knowledge through painting. Lance Atkinson, a Kamilaroi/Yorta Yorta man, was considered to be one of the most sought-after Indigenous artists in Australia. 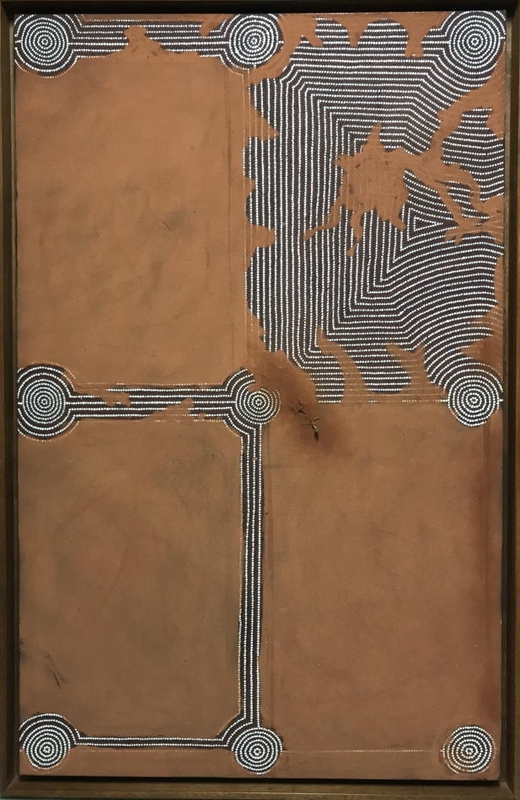 His work was said to “aesthetically reconcile the symbolisms of the contemporary (Indigenous and non-Indigenous) Australian art-scape.” He combined Western realism with the Indigenous style of abstract dot patterning and portrayals of figures from Dreaming stories. 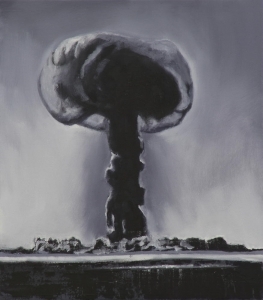 Atkinson’s belief was that his paintings should raise awareness rather than be politically charged, or offending, and this belief was evident in his Maralinga series. 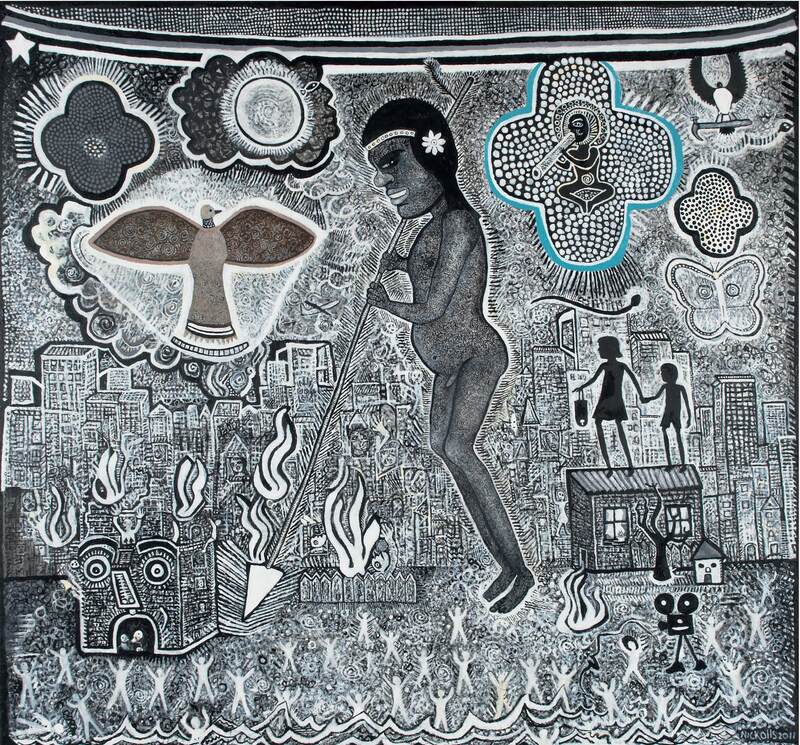 Through an association that commenced in the late 1990s with the people of Oak Valley, South Australia, Atkinson established a close relationship with the community and artists like Hilda Moodoo and Kunmanara Queama. 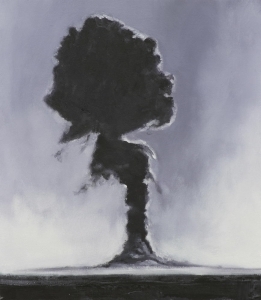 As with his Rufus River massacre works, the Maralinga series sought to inform the viewer of a devastating historical event, in this case the 1950s nuclear tests and their aftermath. 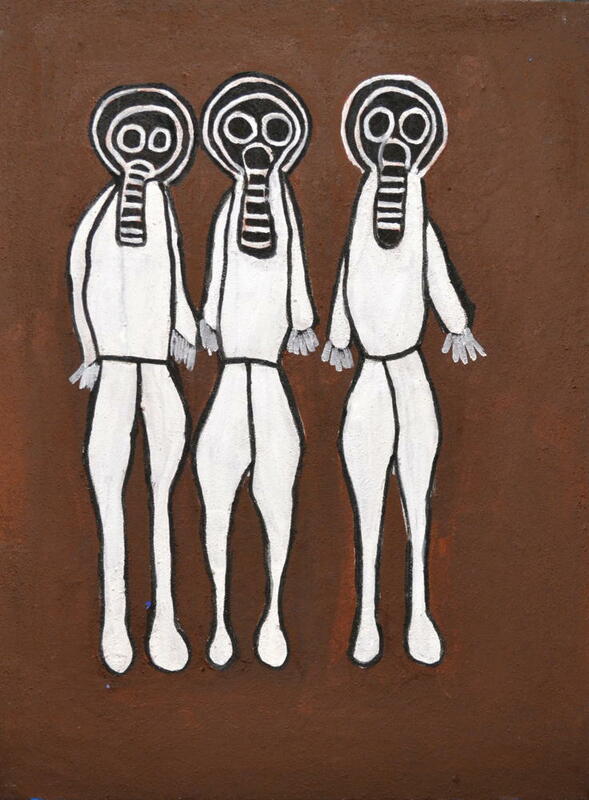 Nickolls was a significant urban Aboriginal artist, who began his practice in the 1970s. He inspired and influenced many artists like Vernon Ah Kee and Brenda L Croft. He is represented in collections of major art museums and galleries in Australia, France, Germany, the Netherlands, the United States of America and Canada. 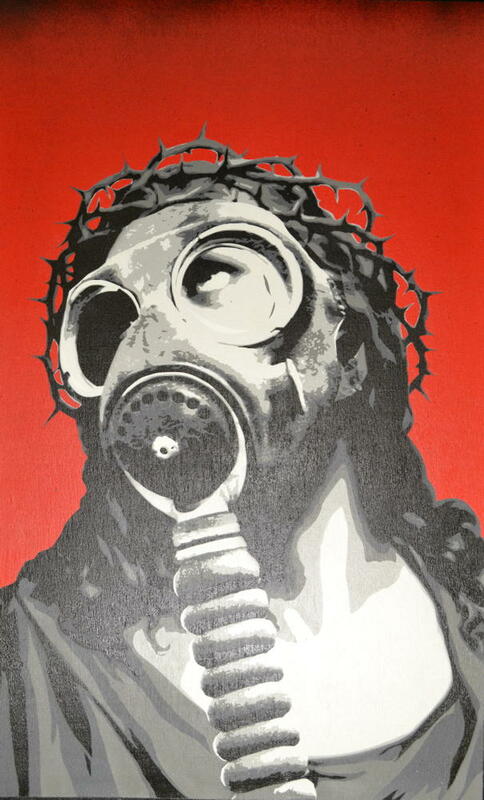 Nickolls’ paintings often show a complex iconography with many layers of meaning. 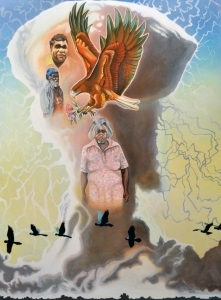 Subject matters included the spirituality of Aboriginal people and their interrelationship to land, sea, sky and cosmos. 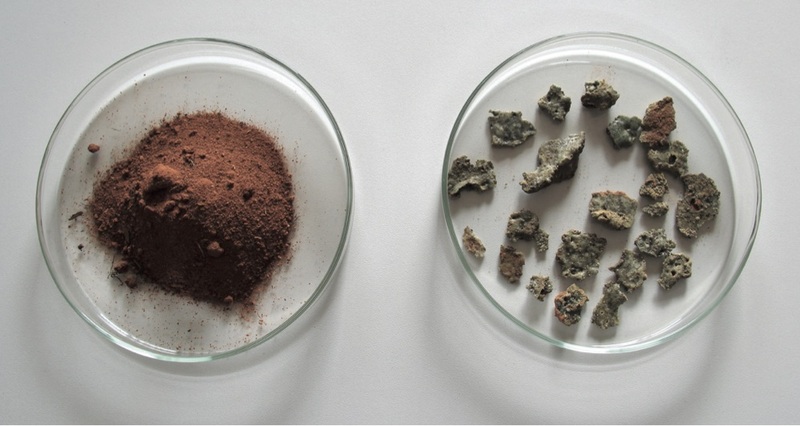 People and elements are seen as integrated rather than separate. 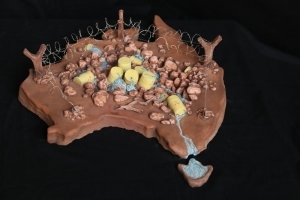 Nickolls represented Australia at the 1990 Venice Biennale. Painter and poster artist, Pam Debenham lived taught printmaking at Sydney University Art Workshop before moving to Canberra in 1990. 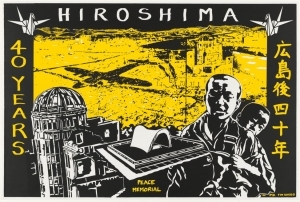 In the 1980s Debenham produced a series of screen-printed protest posters at the Tin Sheds, Sydney University, which commemorate the bombing of Hiroshima and atomic testing in the Pacific. 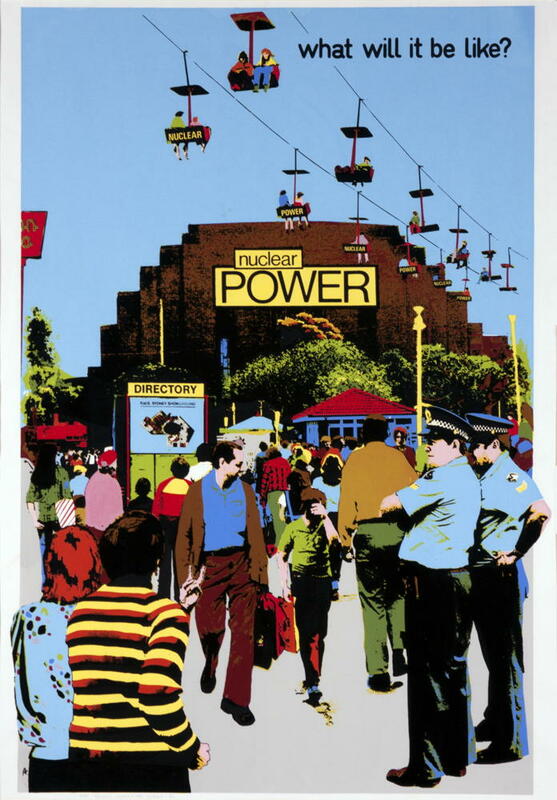 Toni Robertson studied fine arts at the University of Sydney in the 1970s and was a founding member of the influential Earthworks Poster Collective (1971-80) at the University’s Tin Sheds. 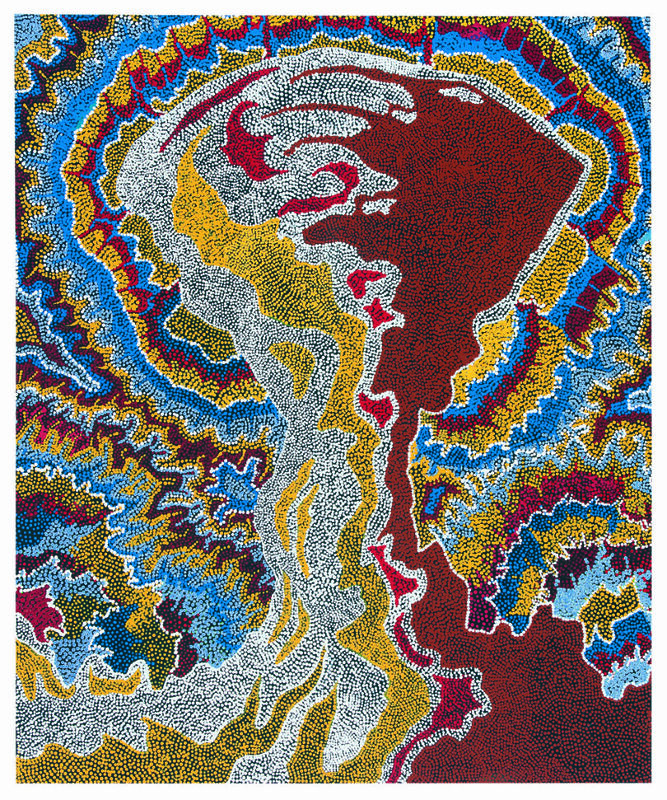 Robertson’s work has appeared in many group exhibitions in the 1970s and 1980s, and along with Chips Mackinolty and others she is recognised as a leading figure in Australian political printmaking. 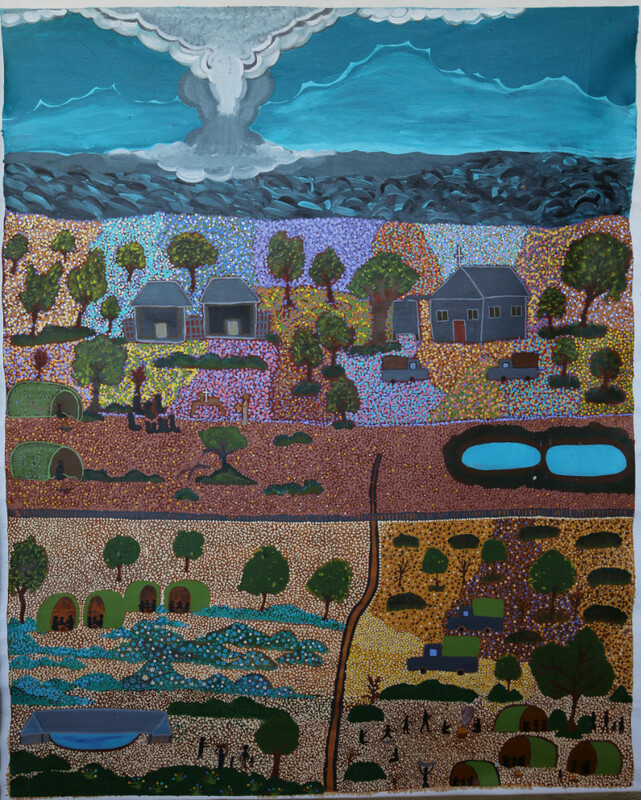 Her work is held in many public collections, including the National Gallery of Australia, the Art Gallery of New South Wales, the National Gallery of Victoria, the Australian War Memorial, Artbank and the Museum of Contemporary Art, Sydney as well as tertiary, state library and union collections. 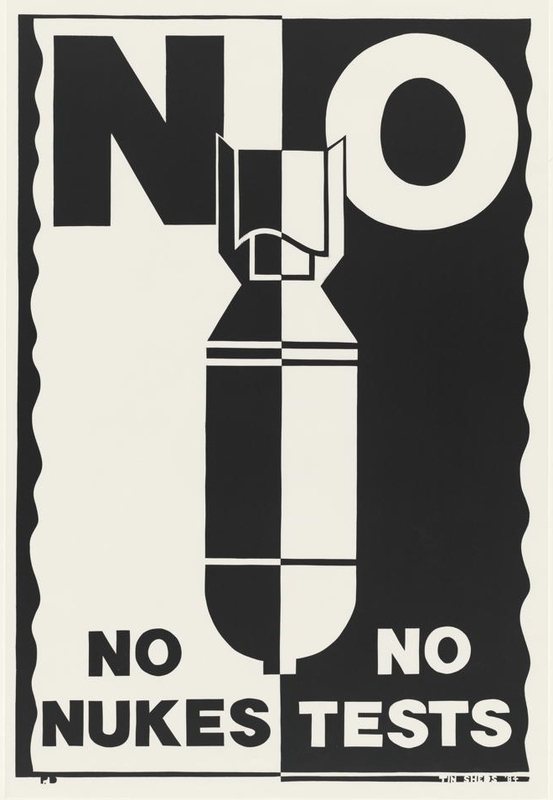 Victorian-born artist Chips Mackinolty was involved in the campaigns against the war in Vietnam by producing protest posters. 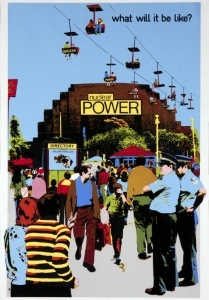 He was a key figure in the radical poster movement and was introduced to screen printing in Goulburn Street, Sydney. 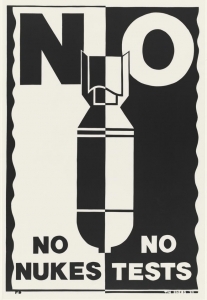 During the 1970s posters became an art form artists using the cheap posters as a political tool. 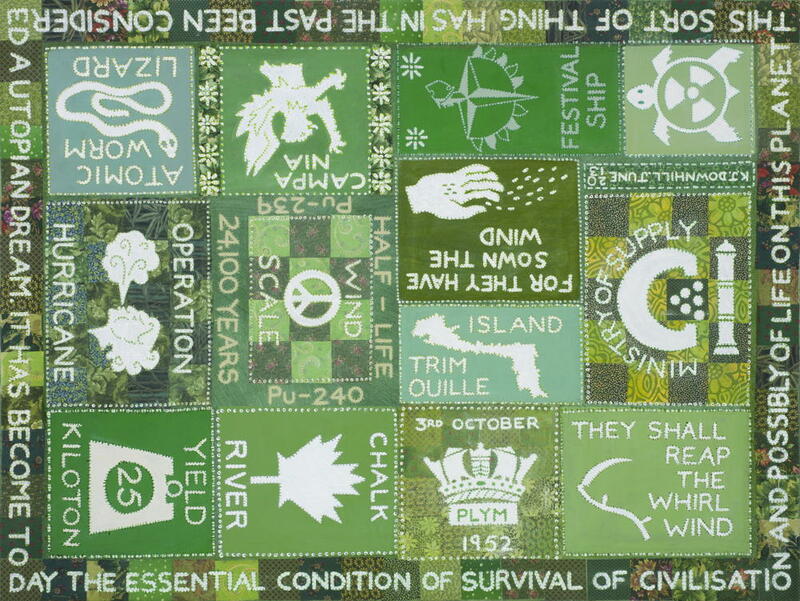 The Earthworks Poster Collective, established in 1971, was the most active and well-known of these groups. Earthworks operated from the Sydney University Art Workshop, commonly known as the Tin Sheds, finally demolished in 2007. 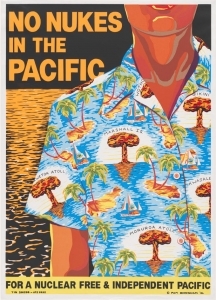 Mackinolty used sharp, flat colours and increasingly professional techniques to produce posters such as “For the man who said life wasn’t meant to be easy – make life impossible”. 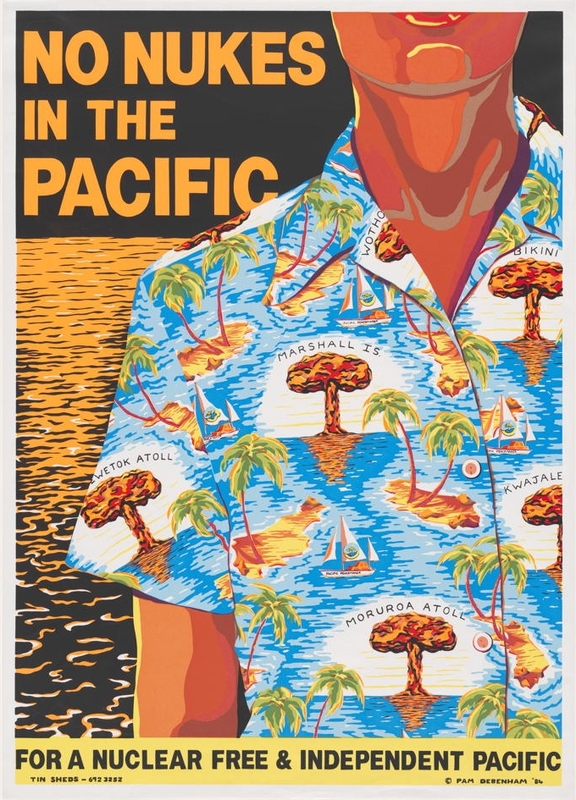 The poster is a multi-imaged send-up of former Australian Prime Minister Malcolm Fraser. It was posted up at night around Sydney, helping to politicise a generation. His work is held in major national and international institutions. 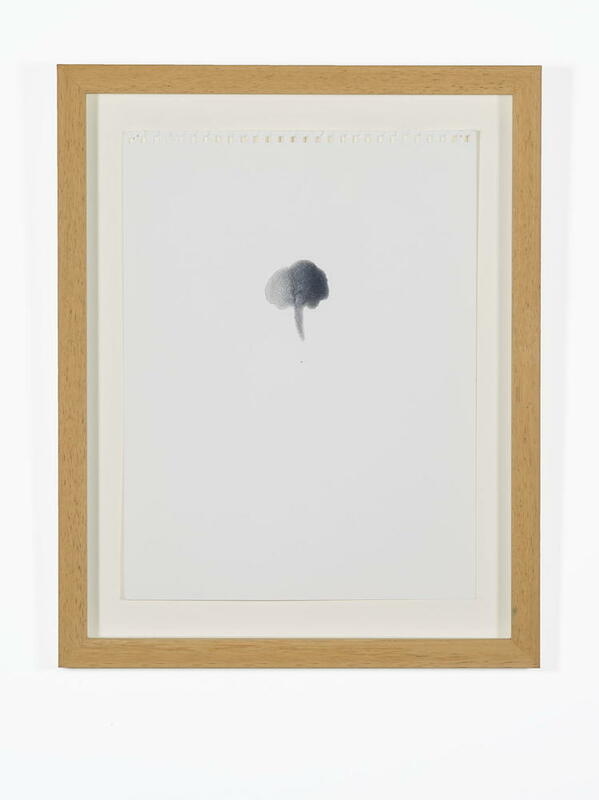 Judy Watson co-represented Australia in the 1997 Venice Biennale, was awarded the Moët & Chandon Fellowship in 1995, the NGV’s Clemenger Award in 2006 and the NATSIA Works on Paper Award. In 2011 her exhibition Waterline was exhibited at the Embassy of Australia, Washington, DC. In 2012 she exhibited in the Sydney Biennale. Her work is held in major Australian and international collections. 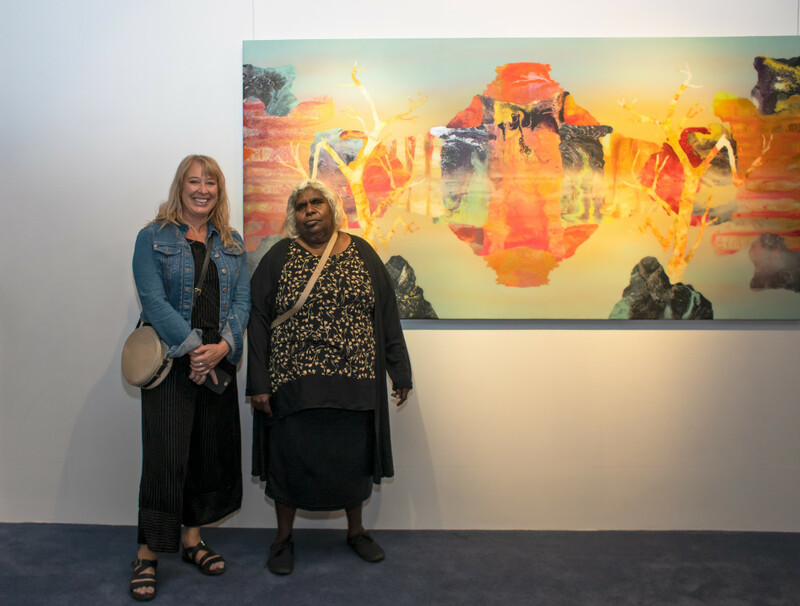 While her work takes its inspiration from the land and traditions of the Waanyi culture, Watson distils her distinctive stained canvases into powerful poetic abstractions. Warren lives and works in Yalata which is an Aboriginal Community approximately 200 kms west of Ceduna, South Australia. It is situated on the Far West Coast on the edge of the Great Nullarbor Plain. He started drawing 6 years ago and has had no formal training in (Art) drawing techniques. 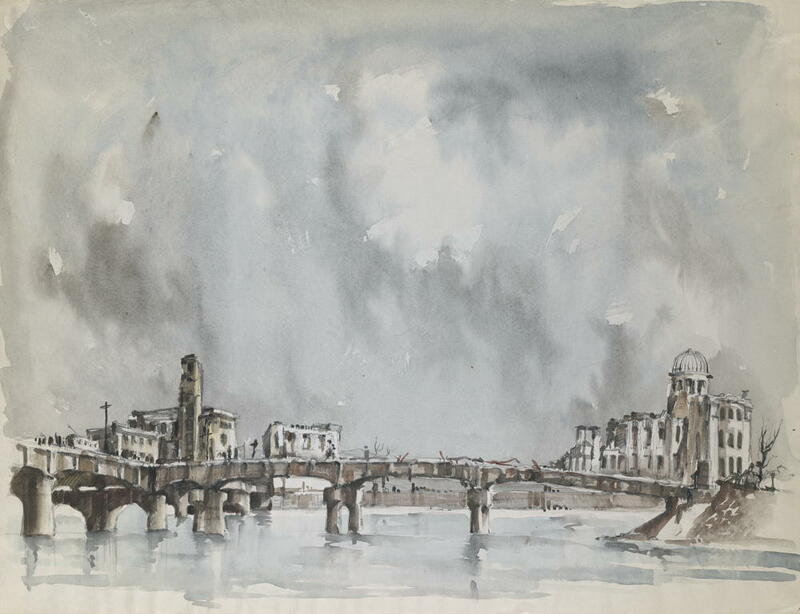 His drawing helps him to relax and also enables him to deal with personal and community problems and to keep his mind active when living in such an isolated area. Since he began drawing, he has drawn many varied subjects for his own entertainment, and some of Warren’s early works are based on his dreams and the personal dilemmas of friends. 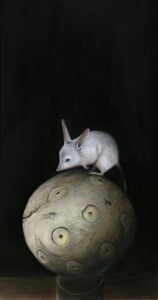 Warren’s recent works are concepts that evolve around his dreams, community, and his connection to the inspiring country of the Nullarbor and the abundance and the beauty of the unique flora and fauna. 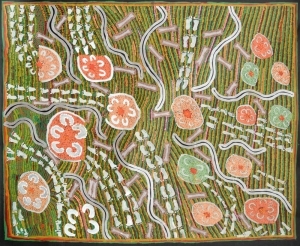 In some of Warren’s drawings he has linked the Spiritual realm of the Dreamtime with aspects of nature. 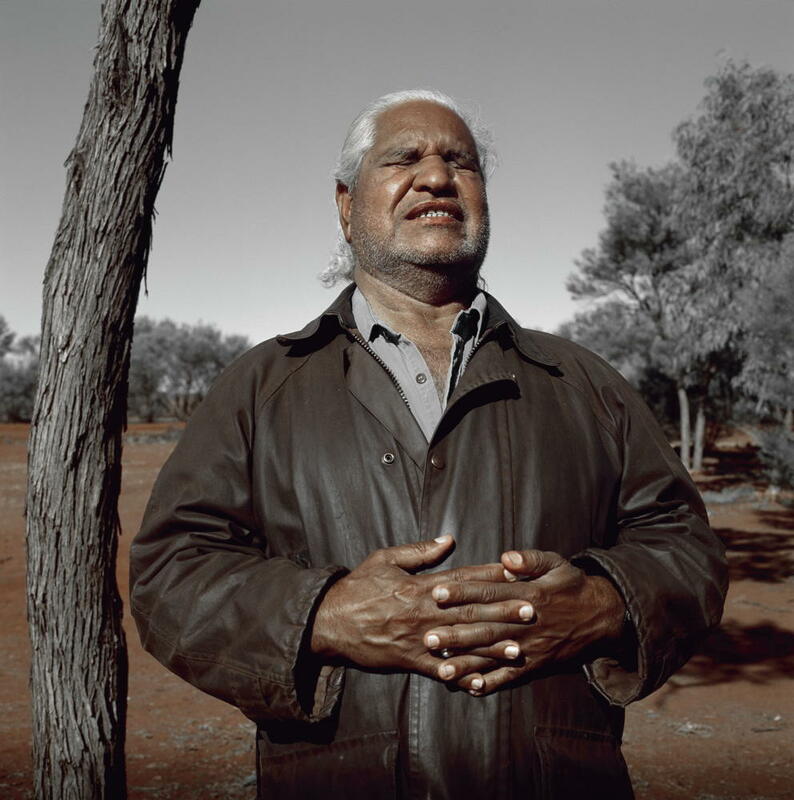 “To us Anangu, there is no difference between the two”, Warren said. Warren’s community, Yalata, is very special to him; it has given Warren connection to country and the opportunity to work with his people. It has been difficult for Warren to come to terms with the selling of his art work. Warren was selected to exhibit his art work at the Adelaide Perry Gallery, Sydney, in 2009. He received the following excellent critique from the judge, Deborah Edwards, about his work and this has given him great pride and confidence. 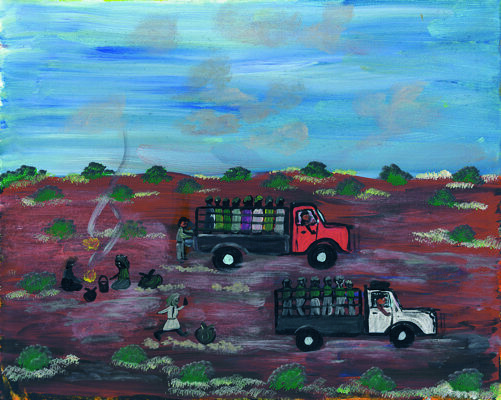 The Yalata Community members have encouraged Warren to continue with his drawings. 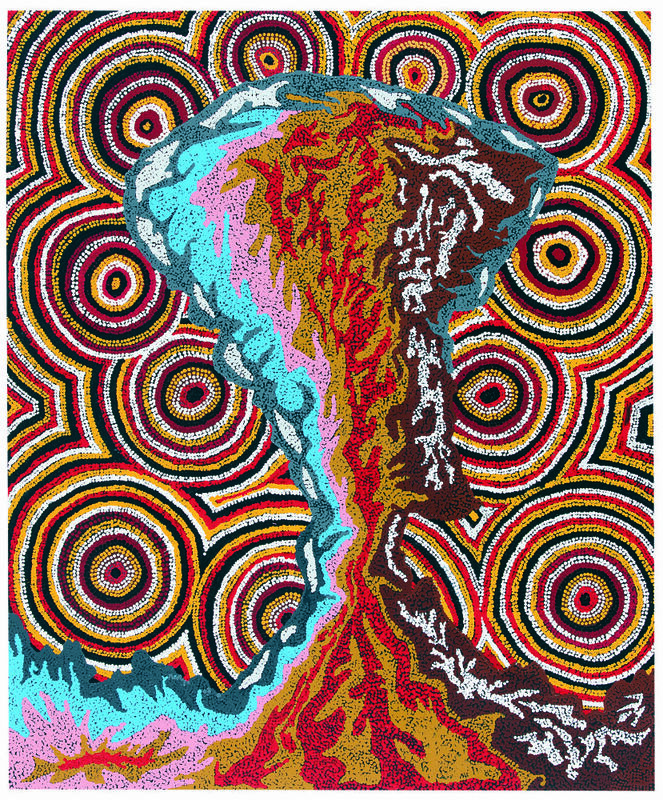 Blak was born and raised on Booreberongal (Dharug) country, Penrith, NSW. His Aboriginal ancestry is traced from the Dhungatti people with bloodline linked to the mid-north coast of NSW, and he also has Scottish ancestry. Blak is connected to a family of artisans and studied photography, illustration and graphics, attaining a BA (Graphic Design) at the University of Western Sydney, Nepean in 1994. 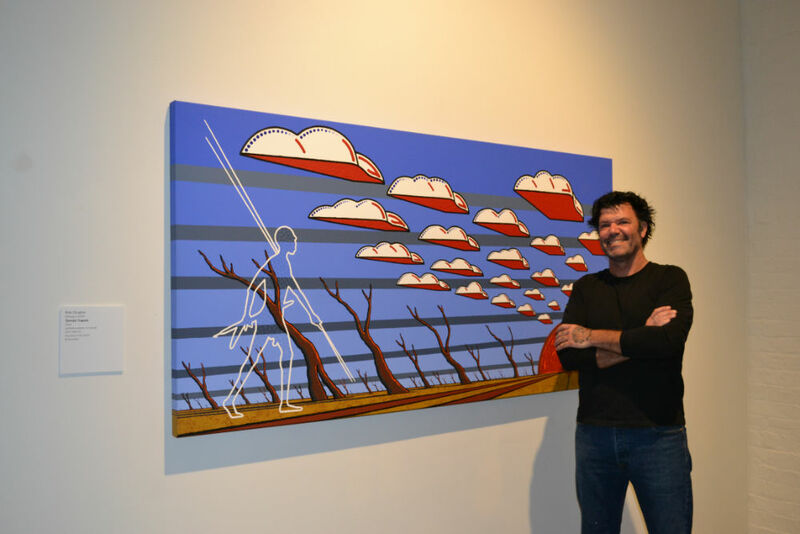 He is largely self-taught in the painting genre of modernism and pop, and his work has been collected widely nationally and internationally including the NGA, NMA, National Maritime Museum, Parliament of NSW, Taipei Museum and The Aboriginal Art Museum of Utrecht. MacDonald is a Victorian artist who has a unique skill for making and casting work, specializing in bronze casting, lost wax & sand. He works out of the Garage Art Foundry in Elphinstone, which he founded in 1995. 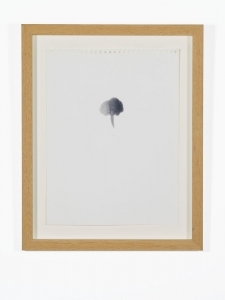 He shows in solo and group exhibitions and his work can be found in private collections in Australia and overseas. In 2013 he won the Chairmans Award Savage Club Sculpture Prize and was a finalist in the Woolhara Small sculpture Prize, the Yering Station Sculpture Prize and the Willoughby Sculpture Prize New South Wales. 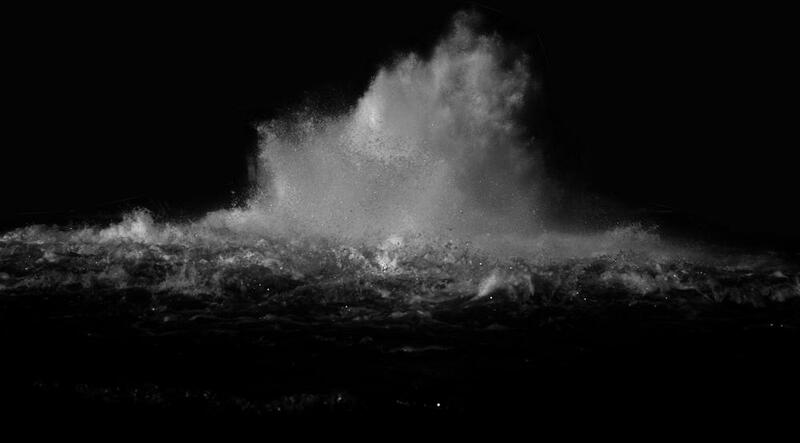 Paul Ogier is an artist and photographer currently working toward his PhD. His photographs are portals—pictorial narratives that draw on neglected moments in time and of a place. 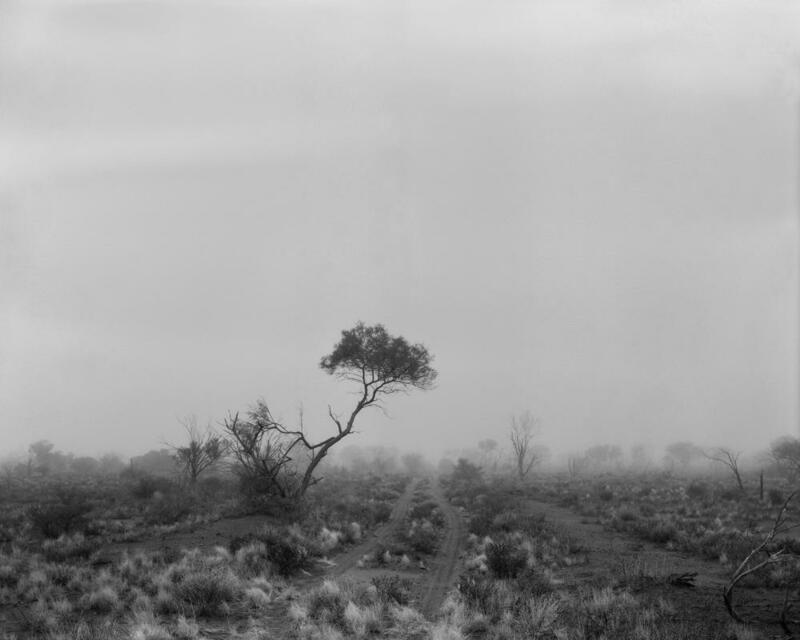 Ogier has exhibited in Australia and New Zealand, including Photography & Place: approaches to Australian Landscape Photography 1970s Until Now at the Art Gallery of New South Wales in 2011, Song of Sirens, at The Ian Potter Museum of Art, Melbourne, 2009, and the Modern to Now (collection), Art Gallery of New South Wales, Sydney, 2008. 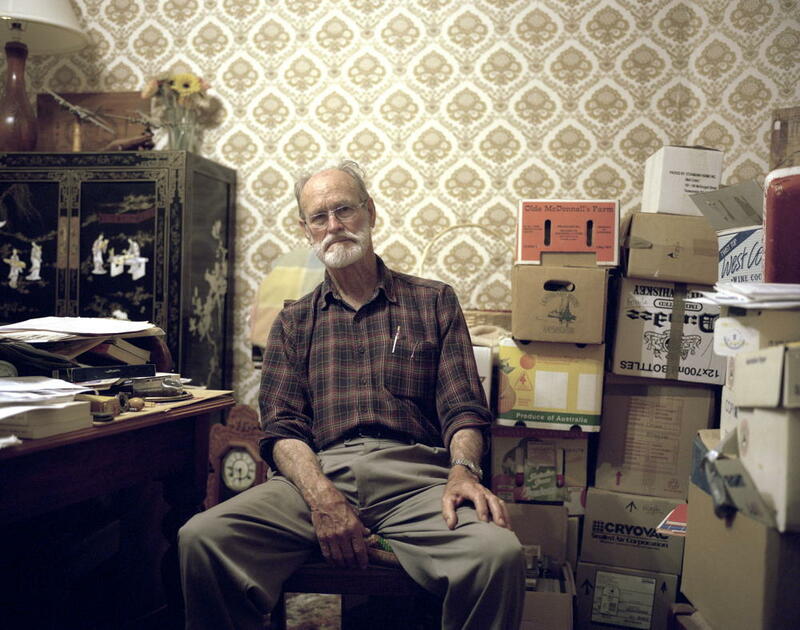 His work is held in many collections, including: Art Gallery of New South Wales, Gold Coast City Gallery Collection, Parliament House Art Collection, Transfield Art Collection, Art Bank, and the Centre of Contemporary Art (NZ). Born 1959, lives and works in SydneyRosemary Laing is a photo-based artist, whose projects are most often created in relation to cultural and/or historically resonant locations throughout Australia. With interventions undertaken in situ or through the use of choreographed performance work, she engages with the politics of place and contemporary culture Laing has exhibited in the Museum of Contemporary Art, Sydney; Frist Center for the Visual Arts, Nashville; and National, Museum of Art, Osaka. 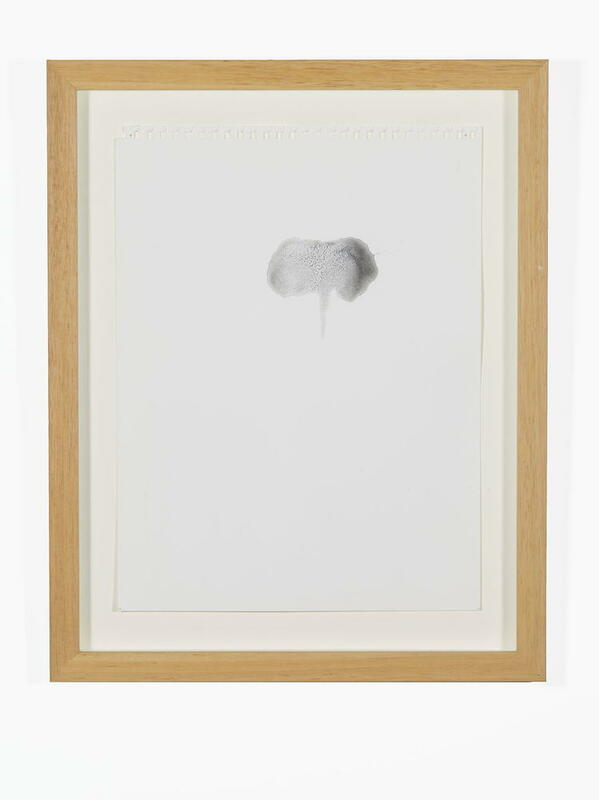 She has participated in various international biennials, including the Biennale of Sydney (2008), Venice Biennale (2007), Busan Biennale (2004), and Istanbul Biennial (1995). Kate Shaw hold a BA Fine Arts in Painting. Her paintings are an interpretation and meditation of the natural environment. She has shown nationally and internationally including: William Jolly Bridge Projection, Museum of Brisbane (2010) and Visitant, 24hrART Contemporary Art Space, Darwin (2008), New Psychedelia, The University of Queensland Art Museum, Brisbane (2011) and Together in Harmony for 50 Years, Korea Foundation Culture Centre, Seoul Korea (2011). 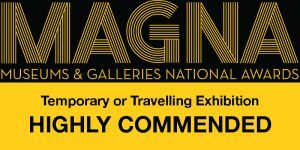 Awards include: Arts Victoria Grant 6 Month Residency at Flux Factort, New York, Finalist Royal Bank of Scotland Emerging Artist Award, 2010, finalist for the 2010 and 2011 Wynne Prize, AGNSW. 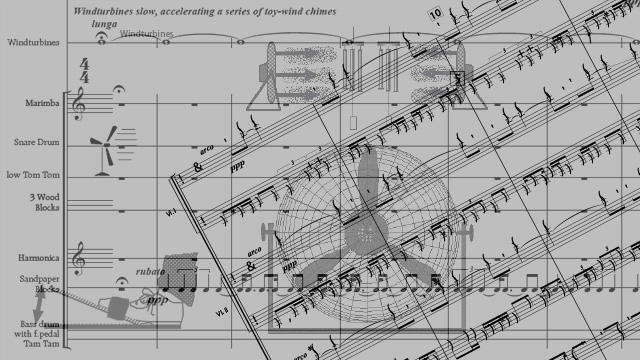 Kim Bowman is a composer who was educated in the Netherlands. His works have been performed and commissioned throughout the world by major orchestras and ensembles, including the Residentie Orchestra The Hague, Amsterdam Sinfonietta, Holland Sinfonia, the Sydney Symphony and the Meridian Arts Ensemble New York. 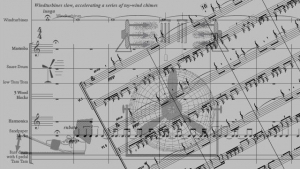 Reinbert de Leeuw, David Porcelijn, Etienne Siebens, Lucas Vis and Jac van Steen, among others, have conducted his works. In 2005 he collaborated with Sydney artist Susan Norrie on ‘Black Wind’, an installation which expands upon the consequences of the Maralinga tests as a metaphor for human catastrophe and irreparable environmental devastation, and the profound psychological damage one associates with the darker forces of human existence. 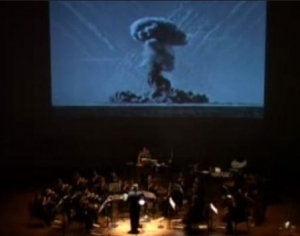 The film made by Norrie is projected on a very large screen above the orchestra. Belinda Mason has worked as a freelance photographer since 1990. Her work has focused on taboo social issues that explore the very personal and sometimes difficult subjects of grief, body image, identity and family. Mason’s has conceptualised, produced and presented high quality socio-cultural engaged art exhibitions and events for national and international audiences. Mason’s exhibition of photographs titled ‘Intimate Encounters’ concerning sexuality and disability, toured to every metropolitan and key regional city throughout Australia – 32 venues from 2001 to 2007 and to nine international cities from 2002 to 2014 including London, Barcelona, New York, Toronto and Auckland. 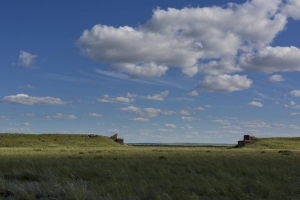 Standke’s work focuses on landscapes and the spirit of the land. She has exhibited internationally for the last 15 years, and her work is held in private collections in Austria, Australia, Germany, France, the United Kingdom, Japan, India, USA and New Zealand. Awards include: 1st Prize at the Pyrnees Art Show, 2011, Shortlisted for the Glover Prize for Tasmanian landscape painting, 2011, Recipient of Pollock-Krasner Foundation grant, 2008. Exhibitions include: All things must pass, Pivotal galleries, Melbourne, 2012 …where the heart is, Pivotal galleries, Melbourne, Berggeist (Mountain-Spirit), Altes Kino, Ehrwald, Austria. 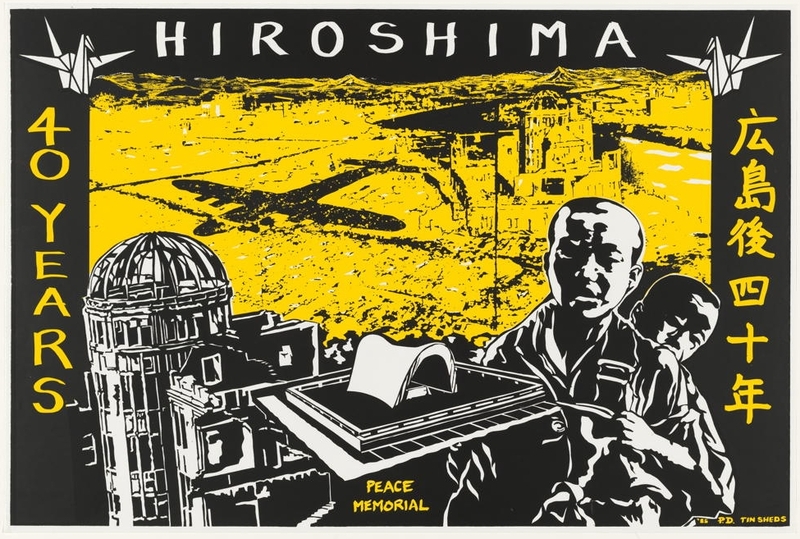 Jessie Boylan is a key member of the Atomic Photographers Guild, an international group who aim to render visible all aspects of the nuclear age. She won first place in Images of Justice at Adelaide University 2015 and has been a finalist for the Josephine Ulrick and Win Schubert Photography Award in 2007, 2009 & 2012, the Spirit of Youth Award in 2009, the Head On Alternative Portrait Awards, ACP, Sydney in 2009 & 2010. Dement is a Sydney based artist who has worked in arts computing since the 1980s. Originally a photographer her digital practice spans the programmed, interactive, performative, textual and virtual. Her work deals with issues of disturbance, commingling psyche and corporeality with the digital and electronic, giving form to the difficult territory of the unbearable and conflicted. Her interactive, programmed and still image work has been widely exhibited internationally and locally, including at the Institute of Contemporary Art in London, Ars Electronica in Austria, various International Symposia of Electronic Art and at Impakt Media Arts Festivals in Europe. She is twice winner of the Australian National Digital Art Award and recipient of a New Media Arts Fellowship, Australia Council for the Arts. Her work is held in collections such as the Bibliotèque Nationale de France, Australian Video Art Archive, New York Filmmakers Co-op and the Daniel Langlois Foundation. 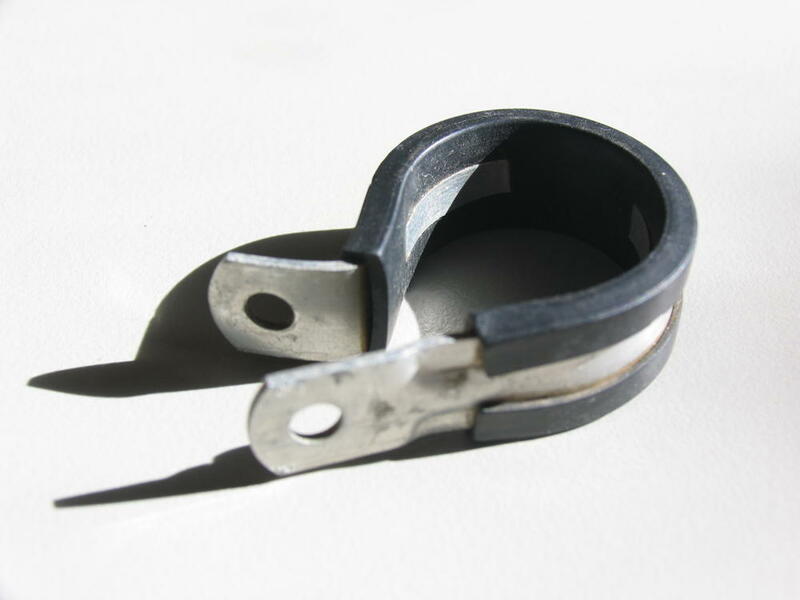 Since then, Ramage has maintained a diverse practice. He co-founded the Shepherd and Newman Exhibition Space at East Sydney & Cog, two of Sydney’s earliest ARI’s. 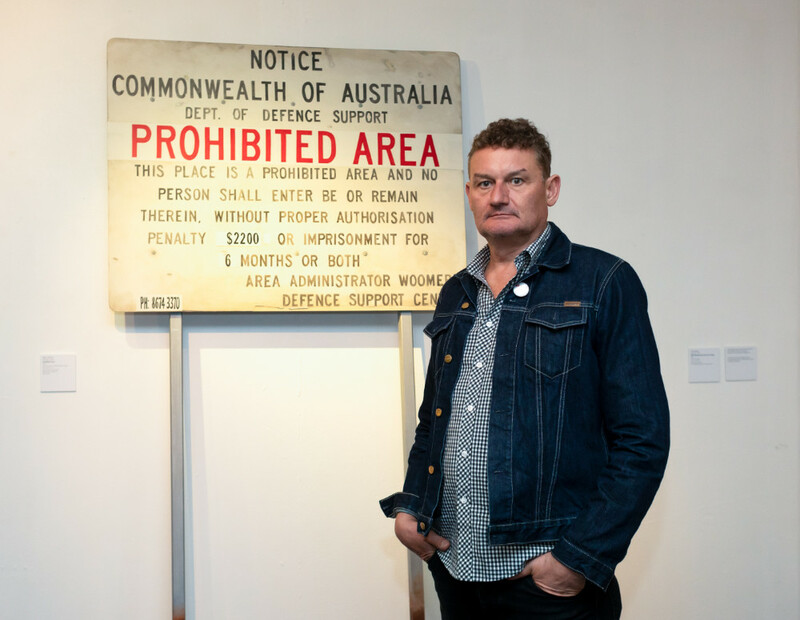 His collaborations have included Merd International – a punk fabric printing enterprise & Funky 3D – a sculpture company providing commissioned works for clients as diverse as Mambo & the Powerhouse Museum. He has exhibited widely in numerous solo & group exhibitions both locally and internationally. 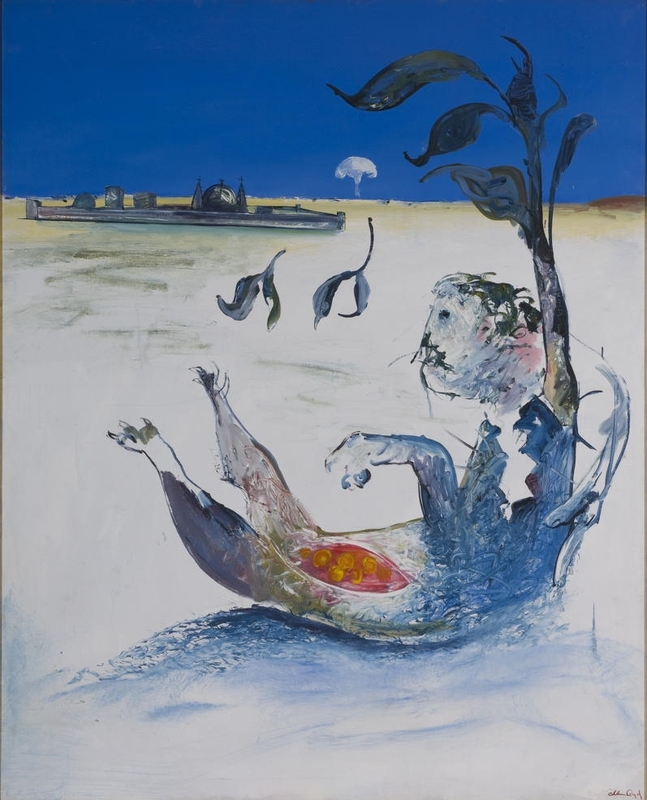 His works are held in private and public collections including the National Australia Gallery, Artbank, Art Gallery of Western Australia, Museum of Applied Arts & Sciences, UTS Union Collection, Sydney University Union Collection, Transfield Collection & Aarhus Arts Council, Denmark. Norton graduated from the Ruskin School of Drawing and Fine Art at Oxford University in 1987. 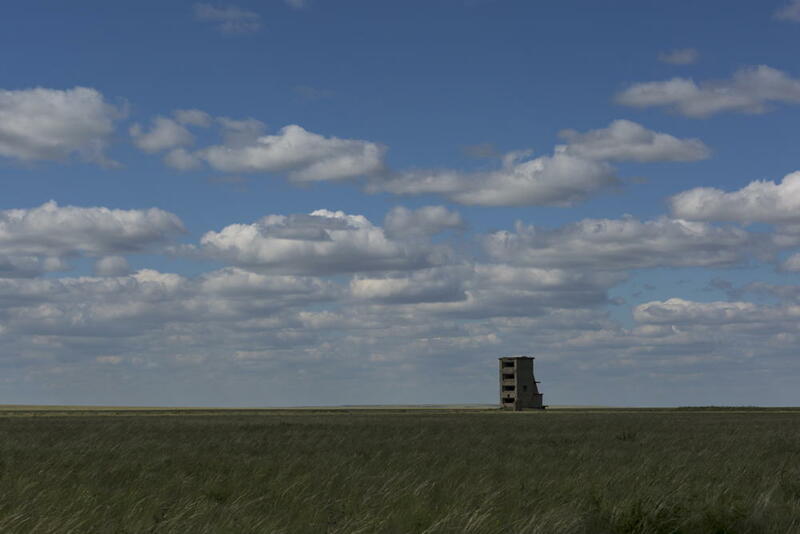 He has had more than fifteen solo exhibitions both in Australia and abroad including a number of site-specific curated projects. He has been shortlisted for numerous art awards such as the City of Albany Art Prize (2011), Hazelhurst Art Award (2009), John Leslie Art Prize (2008), New Social Commentary ’08 at Warrnambool Art Gallery, Redlands Westpac Art Prize (2007), ABN AMRO Artist Award (2007) and Robert Jacks Drawing Prize at Bendigo Art Gallery (2003). 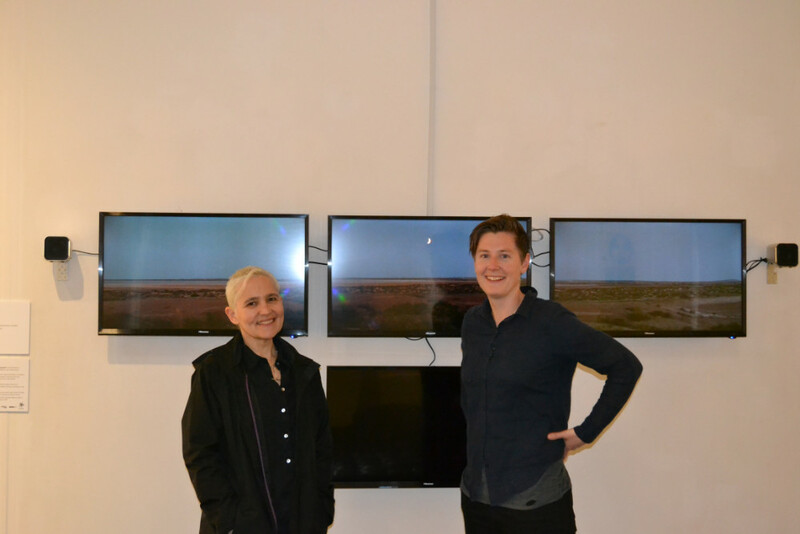 Merilyn Fairskye ‘s work encompasses a broad range of media and methods from public artwork to video installations, films and photo-based works. She teaches in the Media Arts Studio of Sydney College of the Arts, University of Sydney. Her engaging photographic and video practice explores notions of time, identity and place. Fairskye has exhibited widely for over 30 years. She has had solo shows in key institutions including Artspace (2007), IMA (2002), and the 10th Biennale of Sydney (satellite exhibition). 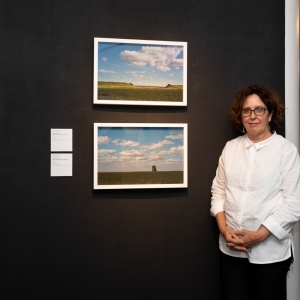 Her work has featured in numerous international and national group exhibitions including Southern Panorama, Videobrasil, (2011), New Age: New Media, China (touring), (2011), Homeland, USA (2010), My Favourite Australian, National Portrait Gallery (2008) and ACP (2009), Figuring Landscapes, Tate Modern (touring), (2008-2010), and Interesting Times – Focus on Contemporary Art, MCA (2005). 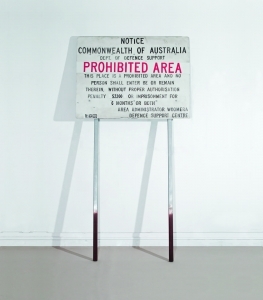 Her work is held in the collections of the NGA, NGV, AGNSW, AGWA, MCA Australia, Getty Collection and MOMA. Cornish, who is also known under the moniker ELK, creates powerful images from handmade stencils and aerosols. He was the first artist to be nominated for the Archibald Prize with a portrait created entirely out of stencils. Cornish’s portrait of controversial Catholic priest Father Bob Maguire achieved a new auction record for a work by an Australian street artist at the Bonhams art auction in late 2013. 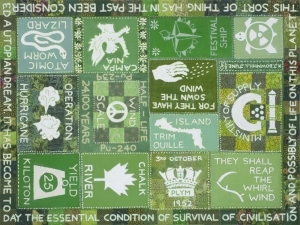 Recent travels have taken Cornish to war zones in the Middle East, the resulting works depicting macho-like militarism and the plight of civilians and refugees. 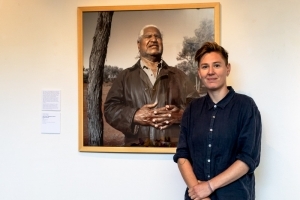 His work is held in public and private collections around the world, most notably his portrait of former Australian Prime Minister Bob Hawke, which was acquired by the National Portrait Gallery in Canberra in 2013. Since emigrating to Australia Kate has been concentrating on a series of paintings whose theme is the fragmentary and personal nature of memory and the process of memorialisation, as with the paintings she presents in this exhibition. 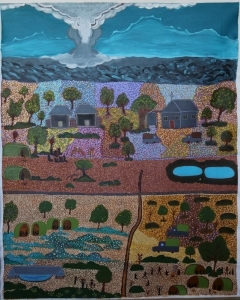 Here she is using the naive imagery of rural community quilting to bring together varied scraps of information and family anecdotes about the British Australian nuclear tests. Kate’s father was a seismologist for the Atomic Weapons Research Institute and he was closely involved in the development and testing of the H Bomb during the 1950s. 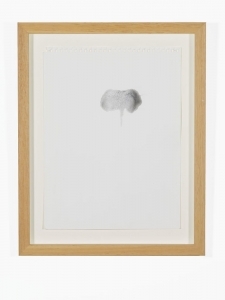 Her work here is a deeply personal response to historical events. 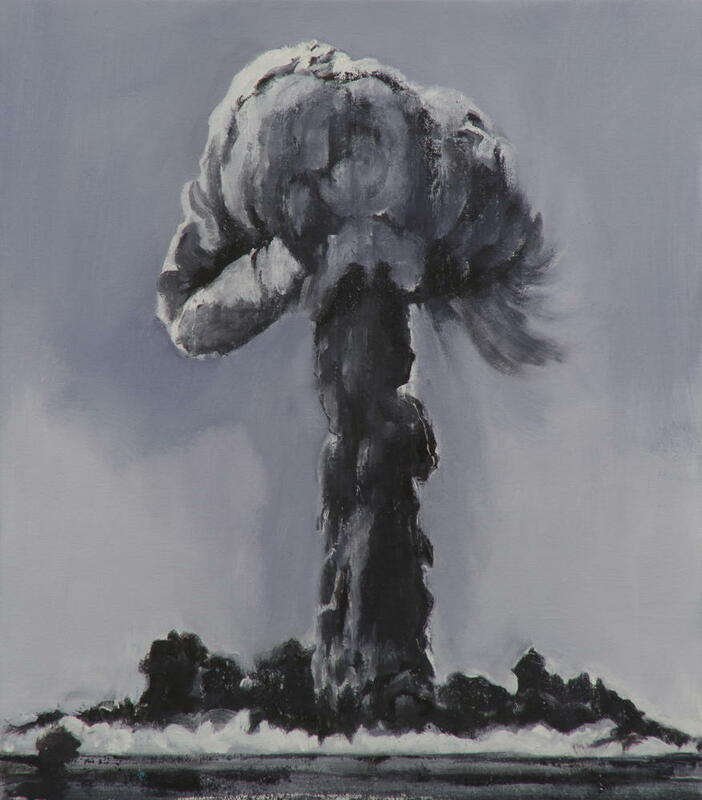 Broderick is an academic and cultural practitioner specialising in nuclearism, the apocalyptic, trauma and memory. 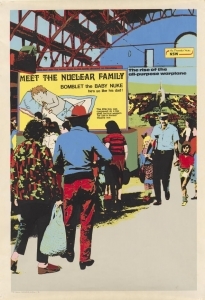 His curated exhibitions of cold war material culture artefacts, Half Lives (2004-05), Atomicalia (2009-14) and Nuke York, New York (2011-12) have been installed at museums and galleries in Australia, Japan, Canada and the USA. His multiscreen hypervisualisation exhibition (with Stuart Bender) Fading Lights: Australian POWs and BCOF Troops in Japan 1945-52 was installed at the John Curtin Gallery in August 2105. Broderick’s recent screen credits as either producer or executive producer include the digital installations Exhale (2008), Hiroshima Traces (2012), short dramas Fugue (2009), Excursion (2013) and Off the Map (2014), and the documentary shorts Rwanda: Hope for the Future (2011) and (in 3D) Inside the Dome (2015). 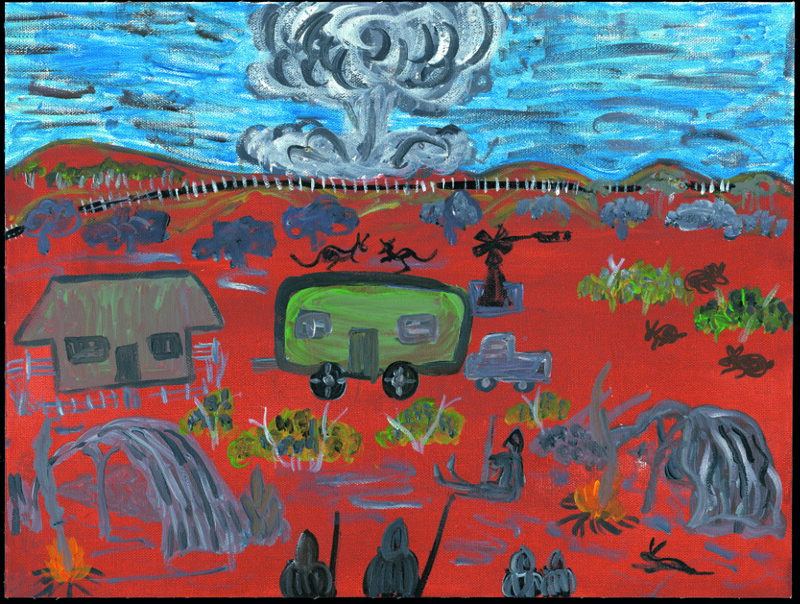 Tjariya (Nungalka) Stanley is a Pitjantjatjara woman who lives and works in South Australian Aboriginal community of Ernabella. 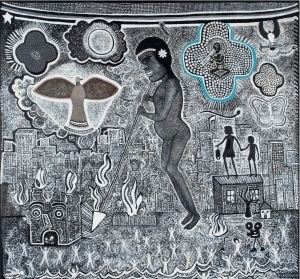 Tjariya is an accomplished painter and ceramic artist. 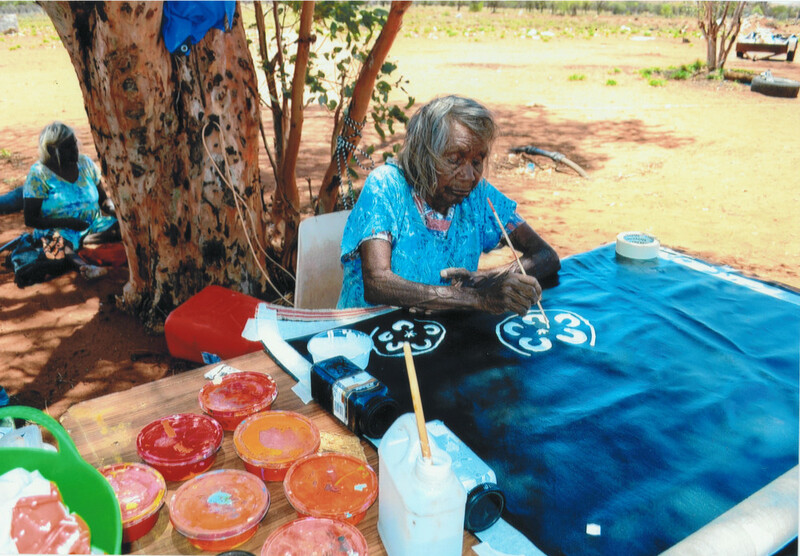 She began producing batiks in the 1970’s learning batik from Daisy Baker following her visit to Indonesia. Initially she assisted in making floor rugs, painting moccasins and knitting jumpers, the first enterprise undertaken by the Ernabella craft room. 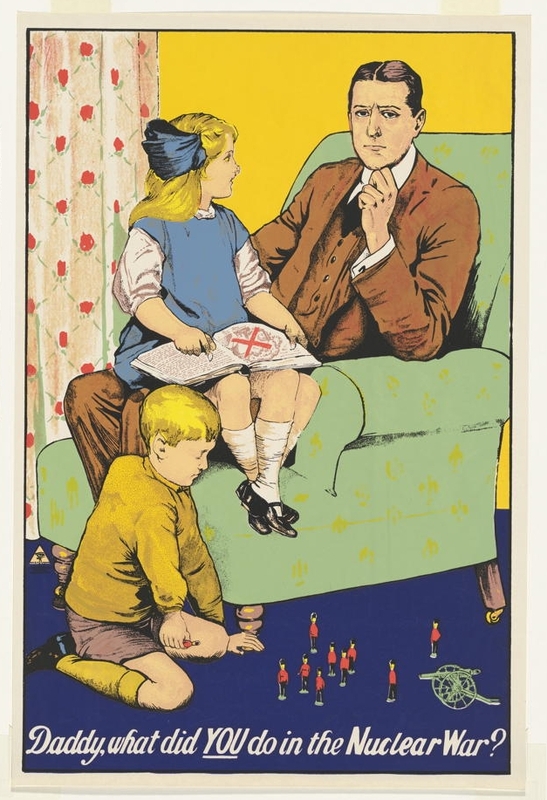 Subsequently her brother William (born 1951) did not get to know his parents as he was too young at the time. 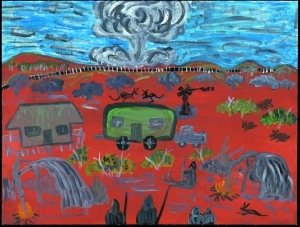 Both Tjariya and William are depicted in Trevor Nickolls’ painting Revenge of the Stormboy. Photos and recording courtesy of Margo Birnberg. Susan Norrie lives and works in Sydney. She works across media including photography, painting, filmmaking and multi-media installations. In the last 20 years she has developed a practice that sees and uses art as a tool for political commentary. The Asia Pacific has been her focus, incorporating the environmental and humanitarian disasters that have impacted on the region. Her recent projects have focused on intercultural issues. Projects have been presented at Kiasma Museum of Contemporary Art, Helsinki 2001; ICC Intercommunication Center, Tokyo 2003; MARCO, Museo de Arte Contemporanea de Vigo, Spain 2007; ZKM Center for Art and Media, Karlsruhe 2008; the Edinburgh International Festival 2009, Yokohama Triennale 2011, Gemeentesmuseum Den Haag 2013; Biennale of Sydney 2014; Montreal Biennale, 2014 – 2015. 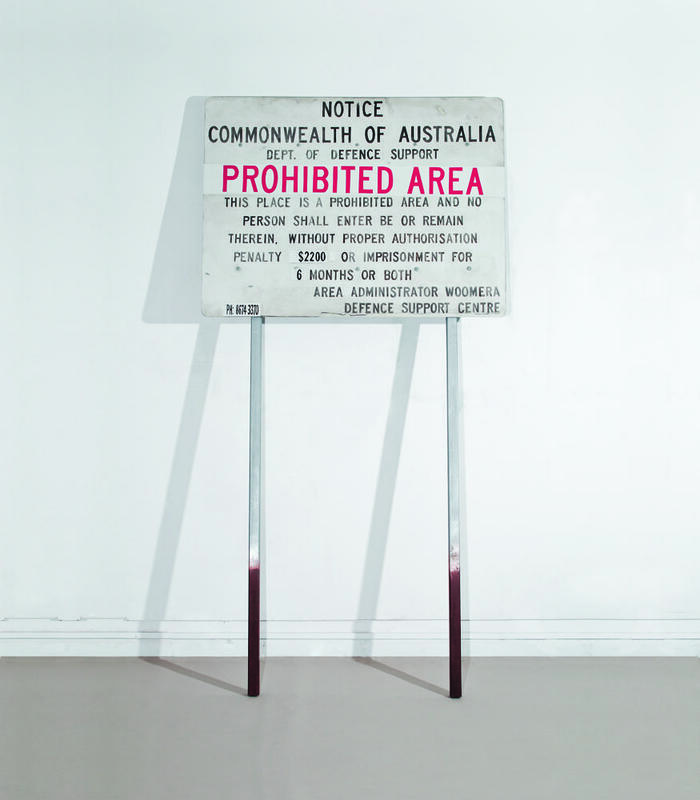 She represented Australia at the 52nd Venice Biennale, 2007. Several artists worked on a collaborative canvas for the exhibition which tells the story of the Pitjantjatara Anangu at Yalata. Involved were: Mellissa Windlass, Glenda Ken, Polly Charra, Cynthia Charra, Carmel Windlass, Edwina Ingomar, Verna Gibson, Teresa Peters, Natasha Woods and Ann Marie Woods. The project was guided by Mima Smart, Margaret May and Rita Bryant.